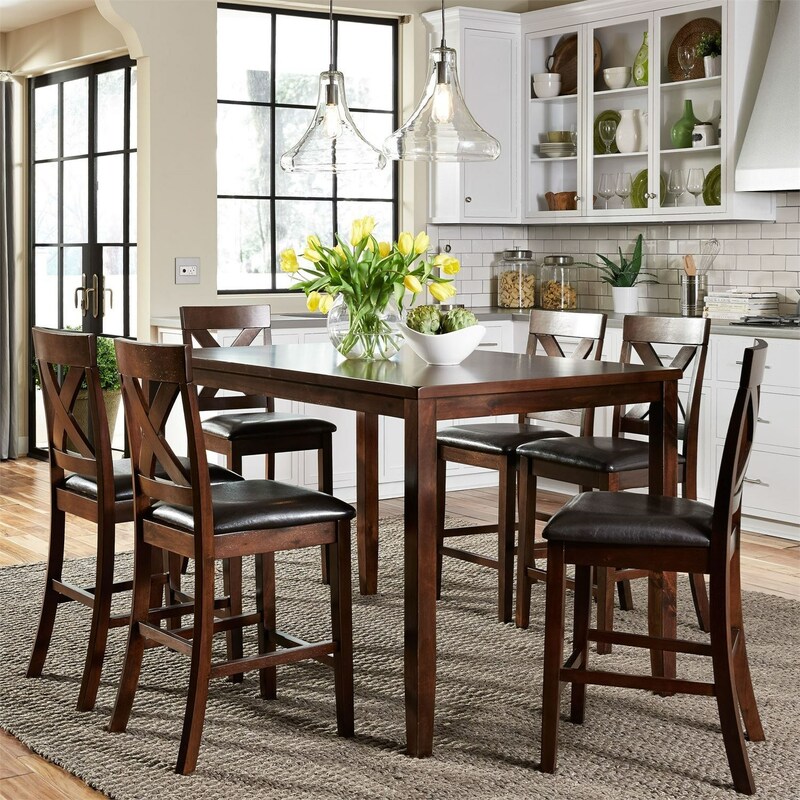 This counter height dining set consists of a sturdy table with six beautiful X-backed counter chairs with tapered legs for added visual effect. Finish options include russet, cream, or black. Russet and black chairs are upholstered in a dark vinyl, while the cream finished chairs are upholstered in a light linen. This set accommodates up to six people, and is ideal for a room with a moderate amount of space. The Thornton 7 Piece Gathering Table Set by Liberty Furniture at Zak's Home in the Tri-Cities, Johnson City, Tennessee area. Product availability may vary. Contact us for the most current availability on this product. The Thornton collection is a great option if you are looking for Transitional furniture in the Tri-Cities, Johnson City, Tennessee area. Browse other items in the Thornton collection from Zak's Home in the Tri-Cities, Johnson City, Tennessee area.